love the wrapping on the primark ones. I love the second pair especially, I'm so jealous! 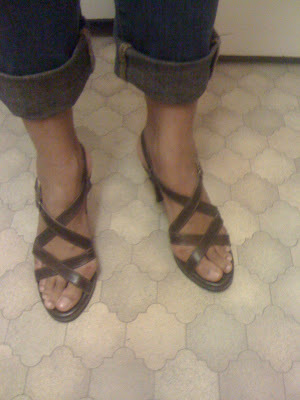 Leather sandals are considered my basics for summer. I like that the styles you picked are simple and elegant. Thanks pamcasso-ha ha!! I will have to check this website out-the edible mice do look delicious, but I must admit I prefer white chocolate more!!! Hi alloftheabove-yes I will swap links too!! Thanks fabulouslybroke-I road tested the brown ones yesterday in the house and comfort wise-not too bad!! Thanks atelier! Yes, I'm pleased with them-they are a bit high, but the style is what I was after!! Thanks jen-I'm looking forward to wearing these-when we get decent weather again-ha ha!! Hi wendy-thanks so much-yes I'm pleased with both pairs!! love the brown strappy ones! so lovely lady! Hi Ida-hope you are well today!! Thanks so much for your lovely comments!! Hi on track-thanks and pleased to be linked!! Thanks Karla-yes I'm pleased with these ones too!! Hi fabulously broke-so pleased!! You've an excellent blog going on!! You are already on my faves! hi sharon! i especially love the "last" sandals, you know the ones in the last photo. and your adidas shoes are great too! Love these sandals! What a good deal too – good bargain eye! Hi asiancajuns-thanks for stopping by my blog!! 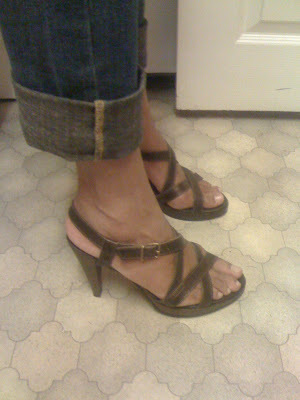 Yes, I was lucky, as both of these sandals were the last in my size!! woh! i just saw the shoes! they are wonderful! and cheap! really a great piece! 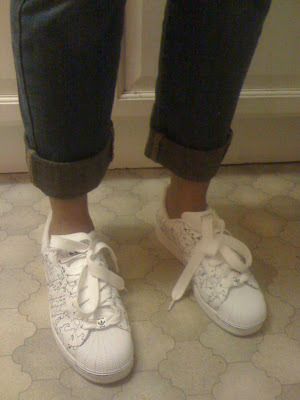 Thanks so much, fashionpuppy-they were a good bargain!! 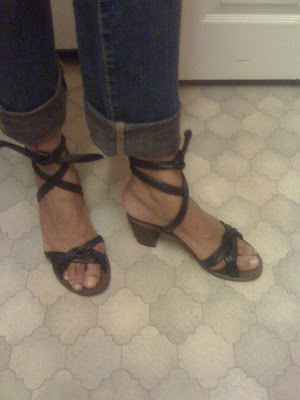 Hi althea-thanks for stopping by my blog-yes I'm loving the brown ones best too! !